Your windshield is supposed to be there to help protect you, as it adds to the structural integrity of your car as a whole. In fact, 30 percent of the structural strength of your vehicle is provided by your windshield. Your windshield helps to ensure your airbag deploys correctly, protects you from ejection in an accident, helps to stabilize the roof in roll-over crashes and much more. However, your windshield cannot be perfect all the time. Like other things, it can wear down from continuous wear and tear from various driving conditions. When this happens, its efficiency is decreased and can put you in a risky situation. This is particularly true during colder weather. Read on to learn more about your windshield and frigid weather conditions. 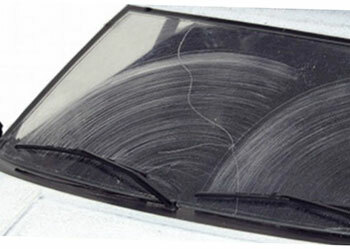 Windshields are designed to ensure a lot of stress, but certain stresses can result in damage. This includes frigid weather. According to a study conducted and published by the Motor Industry Research Association (MIRA), windshield cracks are 60 to 80 percent more likely to spread during cold weather. This is because the colder temperatures allow for the windshield to take on a concave shape. How Is the Windshield Affected by Cold Weather? • When you use your defroster and your windshield is cracked or chipped, it can significantly weaken your windshield even more than it already is. This happens because the glass gets warm at a rapid pace. • When you use an ice scraper or a deicer on a damaged windshield, it can cause the chip to spread or even result in a crack. • When you have a noticeable or even unnoticeable chip in your windshield and cold weather strikes, it can result in the chip turning into a major crack. The crack expands because the moisture gets into the glass, freezes and expands. The longer you leave a chip or small crack on your windshield, the more likely it is that the chip or crack is going to get worse. As you can see, cold weather is one way that these chips and cracks can worsen at a very rapid pace. As soon as you notice a chip or a crack in your windshield, your best defense is to find a Minneapolis windshield replacement shop to have your auto glass repaired before it gets too chilly outside. If it's already freezing outside, then it is even more important to get your windshield repaired sooner rather than later. More often than not, your insurance will cover the cost of windshield chip repair. If you need a your windshield repaired or replaced contact us today.